Terri joined Horizon in 1991 after learning about the then worker-owned business through a course project. She holds an M.A. from the UBC School of Community & Regional Planning. Terri has been a member of the Board of Directors of the Horizon Group since 1998 when Horizon was purchased by its current majority shareholder and President, Ron Francisco. 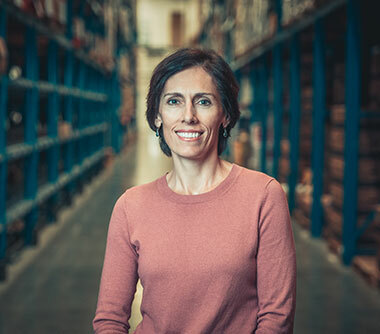 Since joining Horizon, Terri has utilized her natural leadership skills and planning ability to help guide Horizon’s evolution from its rich co-op roots to our position today as the industry leading organic and natural distributor in Western Canada with more than $90 million in annual sales. In 2008 Terri led the project to secure warehouse capacity that would meet the demands of growth for many years to come. 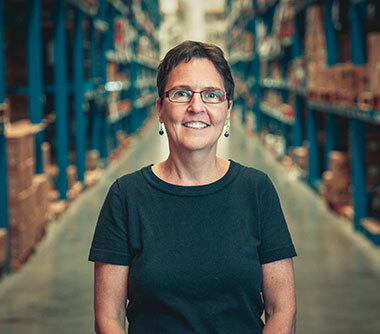 She oversaw the intensive design/build process that resulted in the seamless relocation of Horizon operations to our current 150,000 square foot facility in South Burnaby, B.C. Terri has been an avid soccer player since she was seven years old, and continues to participate today both as a player and as a past member of the Metro Women’s Soccer League Board. When she’s off the field, you’ll find Terri mountain biking the trails of North Vancouver, or at the ice rink with her hockey teammates. Gayle Thom began her career in the organic and natural industry with Horizon in 1993, working in various roles including sales and administration before leaving in 2003 to found Evolution Marketing, a natural products brokerage. In 2006, Gayle received an offer to rejoin Horizon to develop a marketing department and work as part of the senior management team in implementing overall strategic directives for the company. Gayle’s initial impact was in strengthening our supplier partner relationships and redeveloping procurement procedures resulting in more diverse brand offerings for our retail customer base and stronger marketing programs. Working closely with today’s management team, Gayle oversees procurement, pricing, supplier relations, marketing, brand management, and publishing. 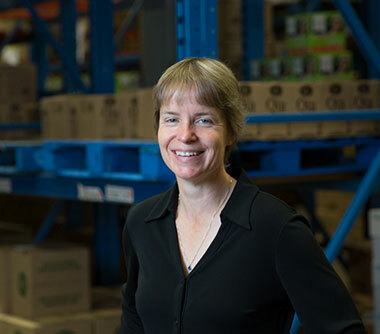 Educated in the social sciences and humanities at Simon Fraser University, Gayle enjoys establishing relationships with suppliers to support and build brands that create a better food system to benefit the health of the planet. Having grown up amongst apple and peach orchards in BC’s Okanagan valley, Gayle spends much of her time in nature near her home in the forests of North Vancouver, hiking and running with her dog. She is currently engaged in a Master’s program in liberal studies at Simon Fraser University and has a strong interest in the deep ecology movement. Gayle is a dedicated student of Shotokan karate, and ultimately aspires to develop her skills with hopes of being invited to teach others someday. Shannen Lohnes joined the Horizon team as Sales Manager in 2006 and was promoted to Director of Sales in the spring of 2017. 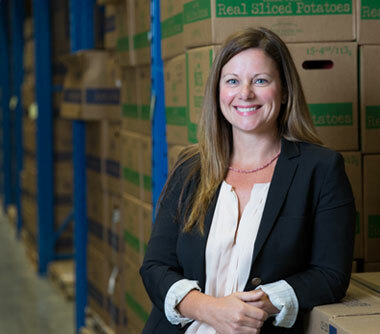 Prior to joining the management team, Shannen acquired mainstream grocery experience in business development throughout North America, working with established grocery brand management and distribution companies. As Director of Sales, Shannen has expanded and developed an engaged and dedicated team of eleven Account Managers, created efficiencies within the sales process and managed retailer relationships throughout Western Canada. Her diverse education includes studies in business at the British Columbia Institute of Technology and science at the University of Hawaii. Shannen is driven by a sincere interest in mentoring and developing people, a personal passion for natural and organic foods and an authentic approach to creating supportive relationships with Horizon staff and retail partners. Raised in the Vancouver lower mainland, British Columbia, Shannen was influenced by her time spent in Hawaii, where she spent her leisure hours surfing and hiking. She is an active boater and snowboarder, and has a reverence for the natural world. Anita joined Horizon in 1980, when Horizon was part of CRS Workers’ Cooperative, and gained a broad understanding of Horizon as a company by working in a variety of positions prior to taking on the role of Human Resources Manager in 1989. In addition to her professional experience, she holds a Bachelor of Arts in Anthropology from McGill University. Anita oversees all HR functions that relate to personnel, policies and procedures, which include recruitment, compensation, and health and safety, and provides guidance to the management team in these areas. Her length of service, tenure within the management team and first-hand familiarity with the functions of each department give her a special understanding of Horizon and its staff and enable her to see any issue from many sides. Anita works to ensure consistency and fairness in our policies and messaging to our employees and continues to assist in maintaining a supportive inclusive workplace where people are valued and welcomed for their individuality. Originally from Southern Ontario, Anita arrived in Vancouver in 1980 and never looked back. Anita loves to travel whenever possible and enjoys a newfound love of cycling. Jeremy Cuff brings 18 years’ experience in supply chain operations and APICS designation as a Certified Supply Chain Professional (CSCP) to his role as Purchasing Manager. He oversees a team of eight buyers, providing guidance as they endeavour to maintain the highest service level fill rates possible. Jeremy oversees inventory management and inbound logistics, and is active in process control, system configuration and management, and regulatory compliance. 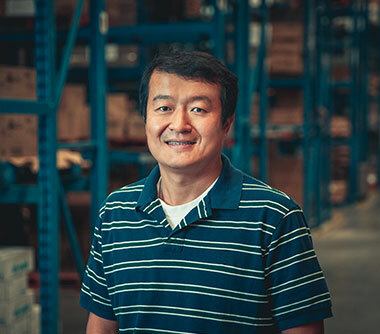 His leadership talents include team building and support, development of supplier relationships and keen optimization and documentation of processes to encourage efficiency. Horizon is a perfect fit for Jeremy, a self-professed “health nut” who is married to a nutritionist. Originally from Ottawa, he moved to Vancouver in 2008 to experience our climate and environment, which supports his interest in outdoor activities and dedication to life balance. An avid runner, Jeremy has completed numerous marathons and many other distance races. 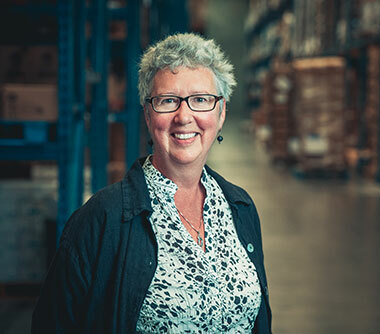 Liz Mahoney came to Horizon in 1997, after acquiring many years of experience working in retail environments at busy natural foods co-operatives in Vancouver and on Hornby Island, British Columbia. As Customer Service Manager, Liz is responsible for a dynamic fifteen person team, working in two shifts nearly 24 hours a day. Liz oversees all functions of the department, including incoming orders, invoicing, claims and reception in addition to addressing Customer Service issues as they arise. As a result of her extensive retail experience, Liz understands the specific challenges our retail partners face in running successful operations. Her invaluable perspective assists Horizon in continuing to tailor our operations to suit the individual needs of our customers. Liz values the opportunity to exceed customer expectations by encouraging positive, personal contact and ensuring pricing integrity to each account. As a former resident of Montreal, Liz came to Vancouver more than 35 years ago to enjoy the mountains and forests of British Columbia. She is an enthusiastic practitioner of yoga and loves to hike. Lee Del Vecchio first came to Horizon in 1991, during which time she held positions in both our Purchasing and Warehouse departments. Lee took on the role of Warehouse Manager in 2002. Horizon has since tripled in volume including double-digit growth in 8 of the past 10 years. 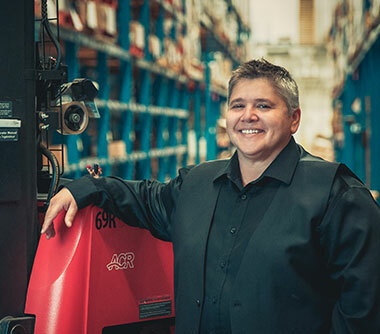 To say that Lee and her warehouse management team are highly skilled in adapting our operations to meet growth demands across all warehouse functions would be an understatement. 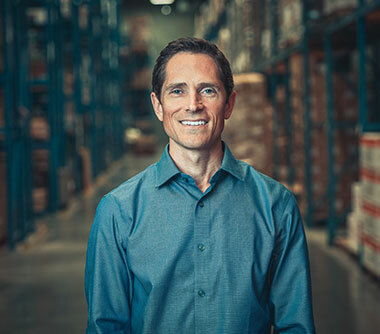 Lee enjoys the challenge inherent in balancing a vision for longer term needs with leading our 45-person warehouse group through day to day demands. 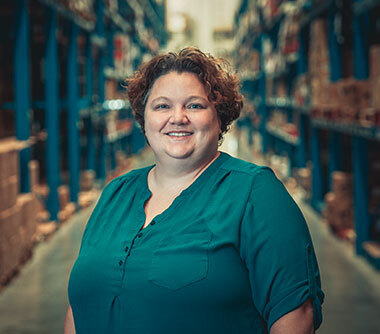 She has worked diligently to create a safe and inclusive warehouse environment, where workers are encouraged to take personal ownership of their duties and recognize the value of their contributions to the business and our customers. Many of the models she employs are inspired by team unity, which include approaches to staff inclusivity and systems development, fair and attainable expectations, and an environment that is both supportive and compassionate. Lee enjoys riding her motorcycle, road trips and winery tours with her partner, working on her house and engaging in her local community. Henry Wang began his technology career more than twenty years ago upon earning his Bachelor of Science degree in Applied Geophysics at the China University of Petroleum. Henry worked as software programmer and technical support specialist in the geotechnical field in Beijing and San Francisco and earned professional certifications as a network engineer before joining Horizon in 1999 to assist with the Y2K transition. Since that time, Henry has built Horizon’s computer network and designed the foundation of hardware and software systems and solutions that address both our day-to-day needs and the future growth of our business. Managing a growing staff within the IT department, Henry enjoys researching new technology and working with the management team and staff to develop and implement these resources. Henry appreciates the year-round opportunities the mild Vancouver climate offers to participate in his favourite outdoor activities, which include running, skiing, kayaking, swimming and sailing. Barbara Fulgham joined Horizon as Accounting Manager in 2013. She brings fifteen years of business experience to Horizon, including nine years as a CPA and CMA. Barb leads an eight-person team in controlling and overseeing all accounting and financial processes, including responsibility for financial statements, management reports and financial performance analysis. Barb’s accounting skills and previous experience make her an invaluable resource on our management team, providing support for business decisions on many levels. Barb works closely with our Purchasing and Warehouse departments to ensure system-wide integrity for all inventory and pricing processes. When she is not in the office, Barb enjoys spending time with her young family. Web design by KIMBO Design Inc.